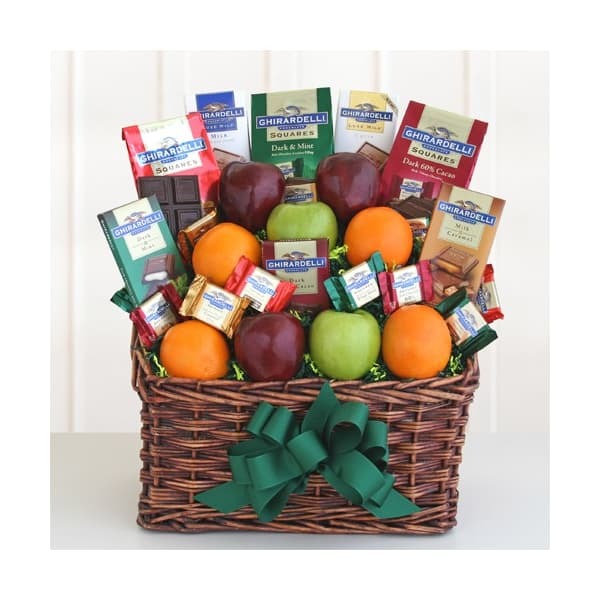 Perfect for a big celebration this grand combination of fresh fruit and chocolate will impress and delight the whole gang. 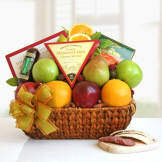 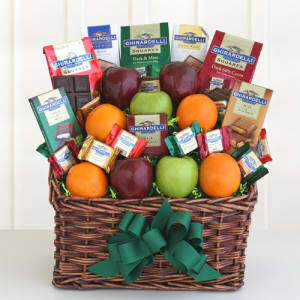 Apples, pears and oranges surround an array of Ghirardelli chocolates. Mint, vanilla, caramel, almond, milk and dark chocolate in bars and squares will keep everyone happy.